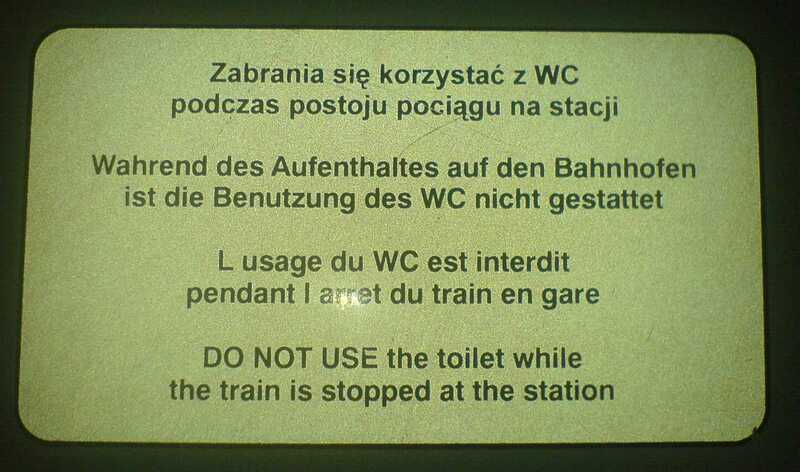 Another reason is because toilets on trains require pumps, and in the station there may not be sufficient spare power to allow the toilet to flush correctly. This may be vacuum pressure or electric pump, depending on the type of train and toilet. Not the answer you're looking for? Browse other questions tagged trains legal hygiene or ask your own question.